They were caught on camera using a cloned credit/debit card, which was linked to a victim’s bank account to make several purchases at a business in the Mandeville area. The two female suspects left the business in a white, four-door sedan with tinted windows. 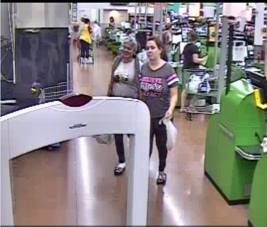 If anyone has information that can identify either female suspect, please contact Detective Parker at 985-276-1331 or call (985) 898-2338.